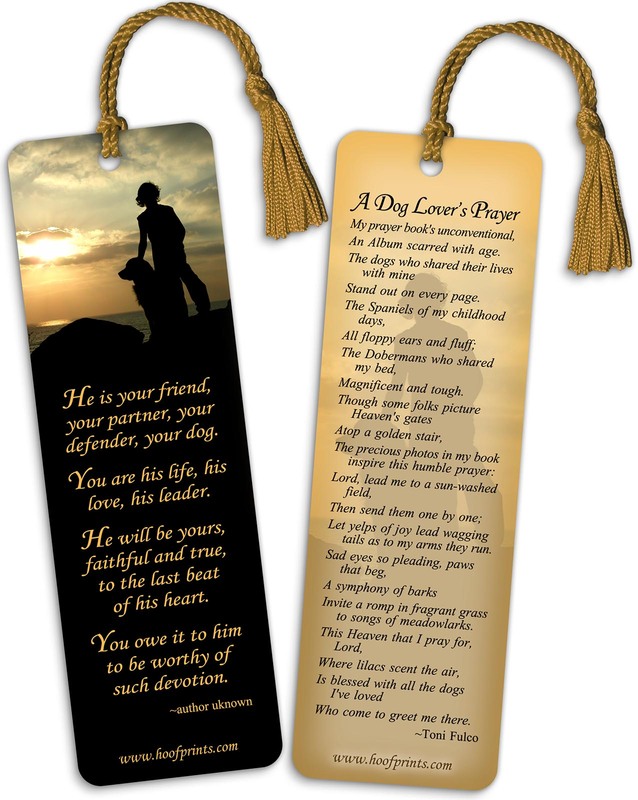 A Dog Lover's Prayer Tassel Bookmark is printed on super heavy, shiny paper - with red satin tassel. Front features a sunset scene with a dog, and says: "He is your friend, your partner, your defender, your dog. You are his life, his love, his leader. He will be yours, faithful and true, to the last beat of his heart. You owe it to him to be worthy of such devotion." One Dog Lover's Bookmark will be included FREE with the purchase of any dog book. An Album scarred with age. Stand out on every page. Let yelps of joy lead wagging tails as to my arms they run. Invite a romp in fragrant grass to songs of meadowlarks. Who come to greet me there.